What does a DPF cleaning machine do? A DPF cleaning machine removes diesel particulate matter trapped inside the Diesel Particle Filter (DPF). The DPF removes the soot (or diesel particulate matter) from the exhaust of the diesel engine. The filters clog up with the soot particles over time. A DPF cleaning machine cleans the DPF periodically, which avoids costly repairs. About 95% of all filters are successfully cleaned. About 5% of the time the filters fail a final test so they are “uncleanable”. They may be damaged in some way, or have just lived out their useful life. Usually they overheat and “sintering” occurs. This is when the cell walls fail or the ceramic structure melts. If a DPF is dropped, overheated, oil soaked, coolant soaked, chipped or vibrated it may fail. Some filters last longer than others because of their design or materials. Usually, you don’t need to have your DPF filter cleaned very often. When a diesel engine is working properly, it takes a long time to plug the filter. If the filter plugs up quickly it is because of some problem with the operating conditions. Low filter temperatures and engine problems plug filters quickly. Who makes DPF cleaning machines? The DPF cleaning machine line manufactured by FSX is for trucking, off-road, transit, railroad and power generation. 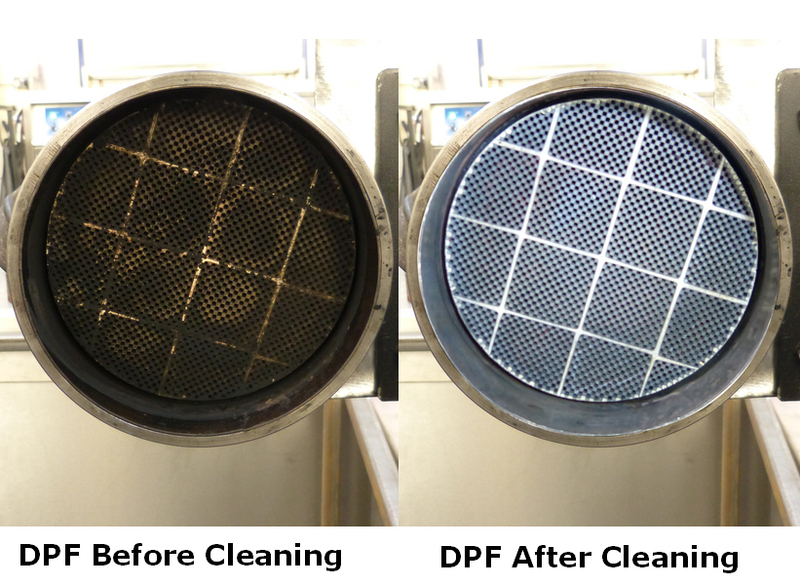 FSX cleans the DPFs for customers in their own DPF cleaning machine on site. They work on both a contract or on an as-needed basis. Donaldson manufactures the Pulse Cleaner. The pulse cleaner completes DPF cleaning in just 15 minutes. The enclosed unit uses automated high volume but low air pressure. Filtertherm® manufactures DPF cleaning machines for the heavy-duty diesel market. This thermal oven design is exceptionally durable and provides quality DPF cleaning. How much does a DPF cleaning machine cost? A DPF cleaning machine costs up to $20,000 or more. Because many filters cost up to $5,000 the DPF cleaning machine is often an excellent investment. Many small volume users contract for their DPF cleaning, or pay for the service as required. Equipment maintenance is vital to avoid costly repairs and downtime. A DPF cleaning machine makes maintaining Diesel Particulate Filters convenient and relatively inexpensive.